These days, we in the mood for easy luxury. Perhaps we’re getting accustomed to comfort, perhaps we need to be waited on hand and foot, perhaps… we just won’t settle for mediocre. We want more! 1. Mirbeau Inn & Spa at The Pinehills (Plymouth, Mass. ): Guests with a penchant for foraging can join Executive Chef Stephen Coe at nearby Plymouth Rock Oyster Farm for a tutorial on picking and shucking oysters. 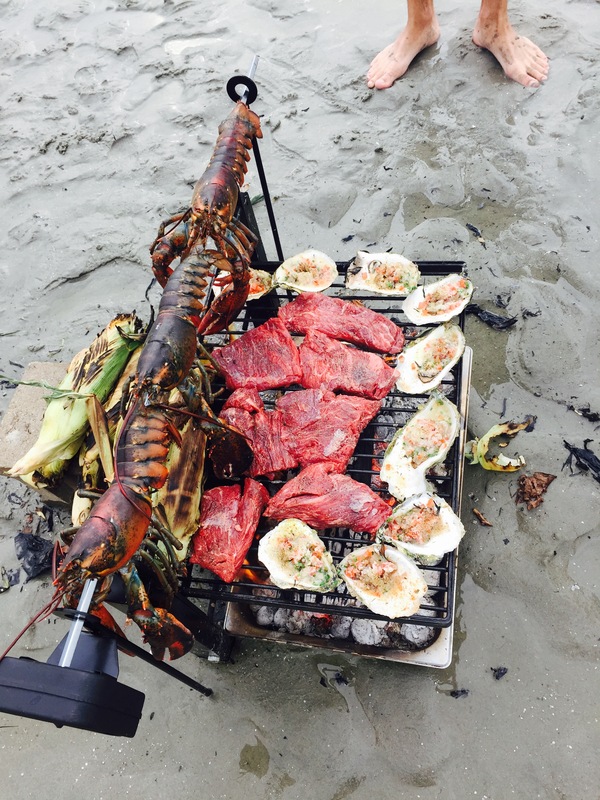 Groups of up to 12 are privy to a farm dinner thereafter including oysters, scallops, lobster, saltwater corn and prosecco ($75 per person). The program launches today and continues through early autumn. 2. 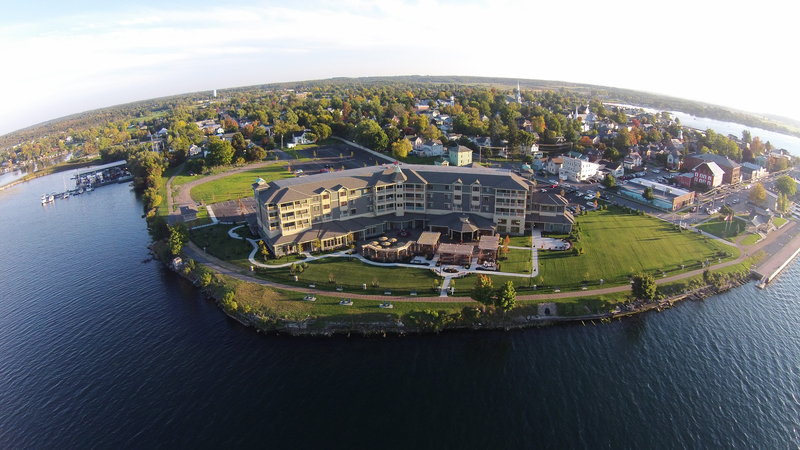 1000 Islands Harbor Hotel (Clayton, N.Y.): Another off-site adventure awaits in upstate N.Y., where guests head out on the St. Lawrence River to fish with Captain Jeff Garnsey. The day’s haul is then cooked over a hardwood campfire for a traditional Shore Dinner (a Clayton staple since 1872). In a single cast iron skillet, Captain prepares salt pork sandwiches and fried fish, followed by French toast, served with local maple syrup. Chatham Bars Inn- Chatham, Mass. 3. 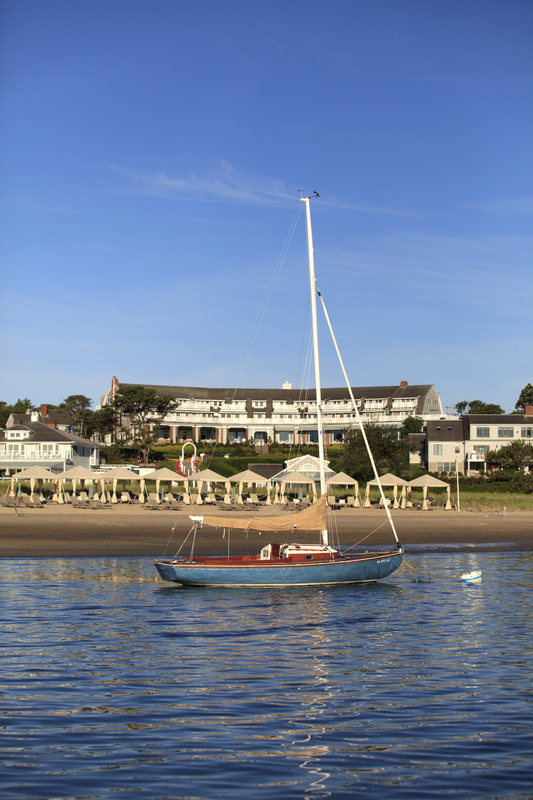 Chatham Bars Inn (Chatham, Mass., on Cape Cod): Not every culinary moment can or should be planned. The oceanfront resort’s luxury fleet stands ready to whisk guests to sea for big game sport fishing, among other leisure pursuits. (The biggest guest catch was a 350 lb. blue fin tuna.) When opportunity strikes, Executive Chef Anthony Cole will greet boats at shore and immediately filet fish for fresh sashimi, served gratis to guests on the beach with the fisherman’s OK.
4. The Umstead Hotel and Spa (Cary, N.C., outside Raleigh): Herons’ seven course Kaiseki dinner by Executive Chef Steven Greene begins with a spectacular tableside tea ceremony (this video captures the wow-factor of the process). The drink is served in custom dishware by potter Ben Owen, whose large-scale works are showcased throughout the art-centric Forbes Five Star, AAA Five Diamond hotel. This unexpected start to the dinner experience is a perfect complement to the “source local” mentality at The Umstead, which relies heavily on N.C. products and produce from its own garden and nearby farm. 5. 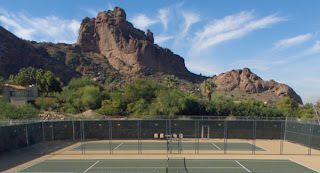 Sanctuary on Camelback Mountain (Scottsdale, Ariz.): The “Mi Casa, Mi Chef” package takes the relationship between diner and chef to new dimensions. 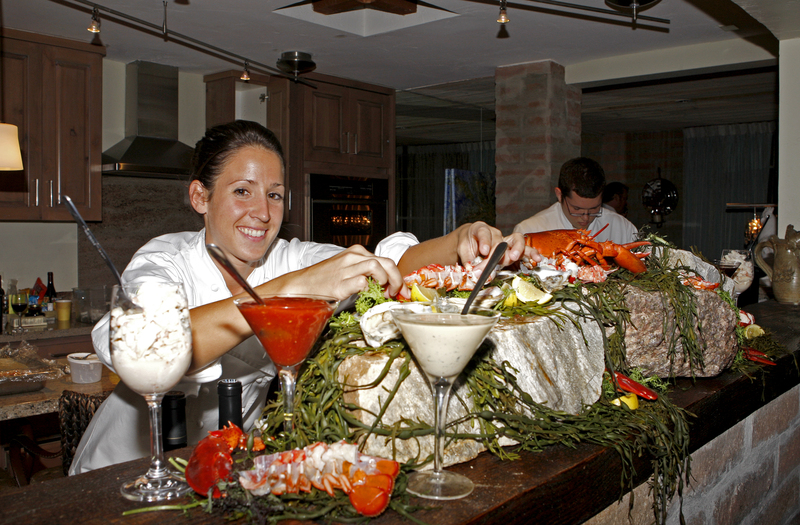 From the arresting vantage point of Sanctuary’s Mountainside Estates, guests work hand-in-hand with a Sanctuary chef (like Food Network star Beau MacMillan) to plan and execute their customized dining experience, letting the day’s best fruits, vegetables, fish and meat dictate the menu. They join the chef in the kitchen of their private home, working side-by-side to prepare the feast. In-home spa treatments take the package over-the-top. Mercury is in Jaunt Magazine’s 8th House – which also means – time to look inward. Since looking inward can be a little tough when you’re busy slaving away in the City of Angles, sometimes, we think the best way to look inward is to look upward into the heavens for a little celestial guidance. That’s where the desert retreat comes into play. Astronomical offerings seem to be the latest and greatest summer travel trend at properties located near starry skies and sweeping vistas. So, whether you’re watching the sun rise from the tumbling red rocks of Camelback Mountain or gazing up at the stars during a crisp desert night, it’s time for a little reflection. Sanctuary on Camelback Mountain in Scottsdale, Arizona recognized in 2006 as The Top Resort in the United States by the readers of Condé Nast Traveler (and included on T + L’s “T+ L 500” list), is inviting guests to celebrate extended summer hours… swanky Sonoran style. You can pick and choose (and that’s why we like it). 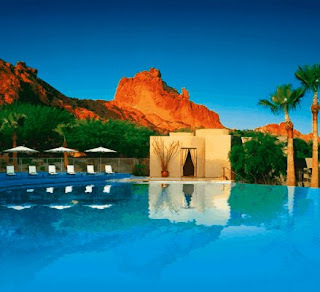 As the sun warms the day, you can cool off in Sanctuary’s infinity-edge pool (the largest of its kind in Arizona) or relax in the Sanctuary Spa with a Signature Summer spa treatment. Named 2008 “Most Excellent Spa Hotel” by Condé Nast Johansens Awards for Excellence, the Sanctuary staff recommends indulging yourself in a Rosemary Citron Body Scrub, which combines a mineral-rich sea salt infused with rosemary, lemon and mint or an Aloe Skin Quencher Body Wrap, combining the soothing comfort of an aloe moisturizer with calming effects of lavender mist after a long hot day in the desert sun. And sunsets in Paradise Valley, well, they’re paradise. And we should know, we lived there. Magentas, pinks, baby blues, purples, and plenty of orange. Ricky Lee spoke about them for a reason. 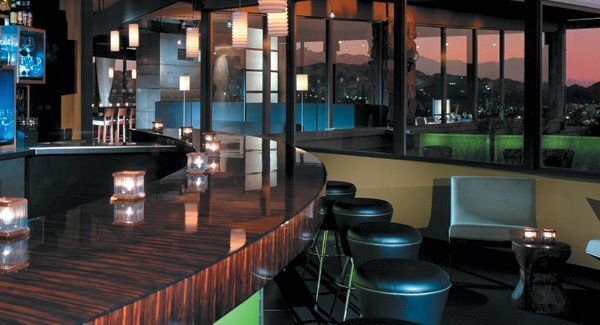 Take in the Arizona desert views, contemplate existence, and then have a cocktail at Edge, Sanctuary’s new outdoor bar. The next step in the path to personal growth is always having an honest look within. We hear the Chamomile Breeze, a mixture of gin, honey, and lemon steeped with loose chamomile tea leaves, is a top-notch way to do it. Finish it off with dinner at their restaurant, Elements, where Chef Beau Macmillan (whose Kobe beef beat out Iron Chef Bobby Flay on The Food Network), whips up seasonal delicacies like slow-roasted kurobuta pork with cilantro pesto, pickled melon & cashew salad, steamed little neck clams with green onion, dashi broth & crispy lob chong or grilled hawaiian opa with cumin, pine nut cous cous, jalapeno, mango and crab. 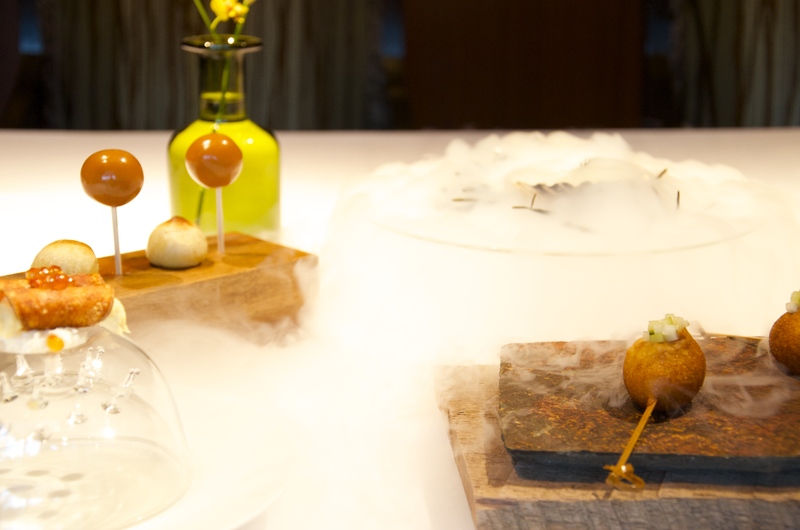 An evolved menu where desert, island, mediterranean, and asian cultures unite. Take in the stars for dessert. The two-night Light & Harmony experience is through Sept. 12, 2008. $652 for single occupancy/ $1,093 for double. 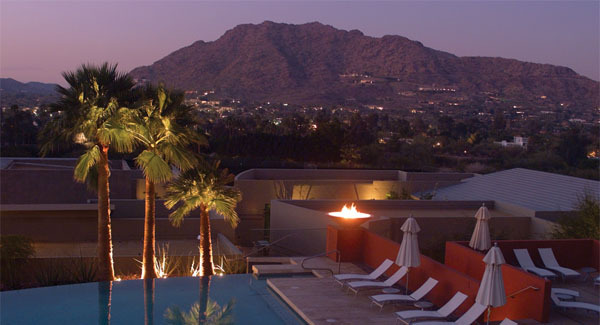 A little about Sanctuary on Camelback Mountain: One of the country’s most lauded luxury resorts, Sanctuary is a striking boutique property, internationally acclaimed for contemporary design, inspired by Frank Lloyd Wright and the native desert history. 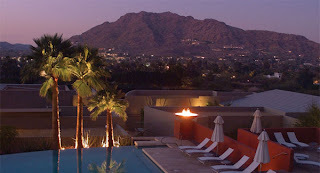 Condé Nast Traveler’s “Gold List” and a “Reader’s Choice” winner since it’s opening in 2002. So it may not be budget, but it is beautiful. Where to go, What to do, and Where to Shop in Tokyo and Kyoto. Feeling Carefree? It’s in the stars. 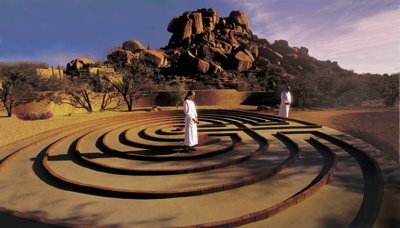 As we amp up for our next spa wellness retreat, we caught wind of an all new four-day/three-night ‘Carefree Spa Getaway’ package at The Boulders’ Golden Door Spa in Carefree, Arizona and knew we’d have to throw caution to that wind and give ourselves a little ‘us’ time. Enveloping guests in a holistic experience that claims to be ‘nothing less than life changing,’ the package includes astrology, hikes, rock climbing clinics, cooking classes, spa treatments AND meditation, all designed to tune the body, inspire the spirit, and open up that precious mind. Phew. We could use somma that. It also draws emphasis on the power of the universe — something we’re always down to delve into. Available only once a month, during, you guessed it… the Full Moon. 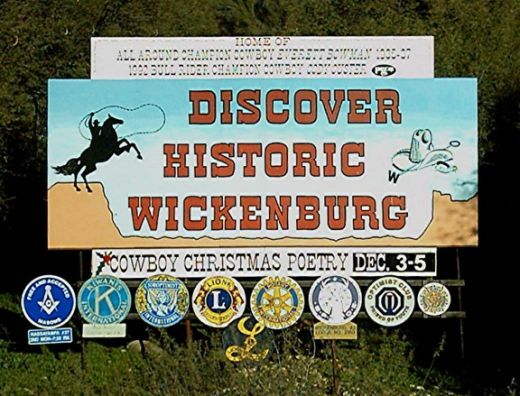 • Welcome gift and nightly turndown gifts that include a “Carefree Companion” with a personalized daily agenda, pedometer & walking program encouraging 10,000 steps a day, a fitness class schedule, and recommended reading guide. Gastrological Dinners (a combination of gastronomy & astrology), are also planned during the Fall & Spring Equinox and Summer/Winter Solstice. An evening of celestial wonder in the resort’s Organic Garden, guests get to experience a gourmet dinner under the night sky with renowned astrologer, Tom McMullen, who explains the symbolic language of Astrology, the movement of the constellations, and how the planets influence our lives. 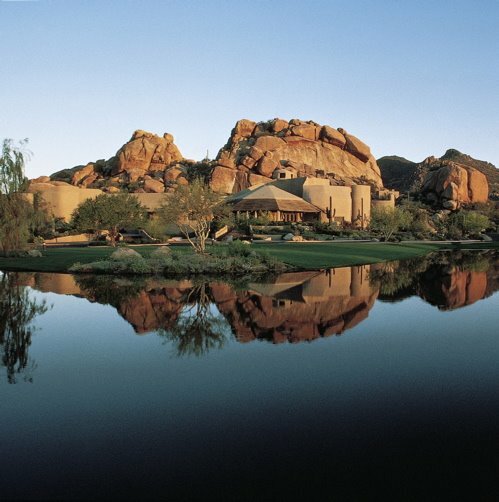 We love this exclusive desert hideaway and The Golden Door Spa at The Boulders for many reasons. 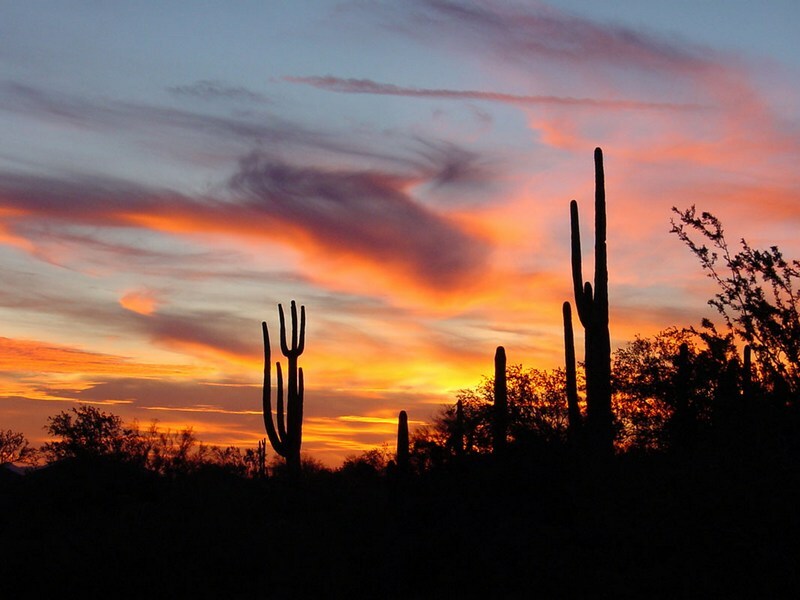 The main one being that Arizona is a land filled with a spirited past. Not to mention the fact that the spa drew it’s inspiration from the ancient Honjin inns of Japan where weary travelers sought sanctuary. Incorporating elements of feng shui and the Zen-like ambiance of the original Golden Door while staying true to the Native American influences of The Boulders, it has a labyrinth, a Tipi for guided meditation, an affirmation rock for individual guest reflection, fitness center, mind, body and movement studios, a café and sweeping views of the 12-million-year-old boulder piles, along with Black Mountain. 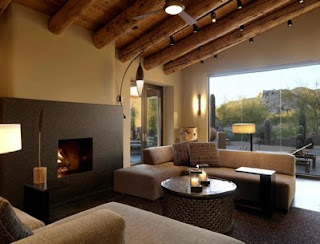 160 guest casitas, 55 one-three bedroom villas, 7 restaurants and a lounge, 2 championship Jay Morrish-designed golf courses, and 8 tennis courts (including three classic clay and five premier cushion courts). Only 12 guests will be accepted each month. So really, if you’re not going to listen to us, listen to Uranus. 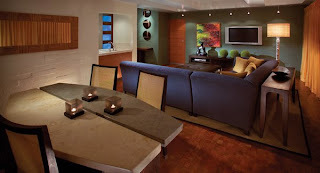 Rates start at $1,399 per person or $1,199 double occupancy.